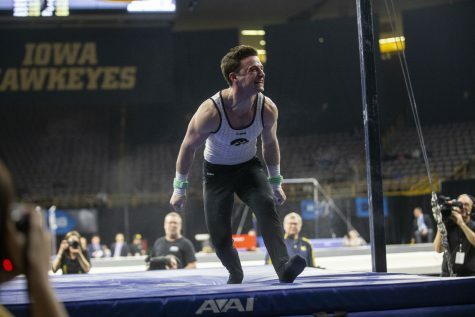 The Iowa women’s gymnastics teams had a busy weekend, as the men and women were in action. During women's gymnastics vs. SEMO at Carver-Hawkeye Arena on Friday, January 11, 2019, SEMO gymnast, Mackenzie Slee, vaults. 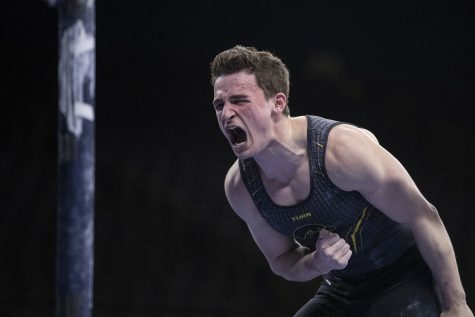 It was a weekend filled with plenty of gymnastics for Iowa. Both the men’s and women’s teams competed, and the season is now in full gear. 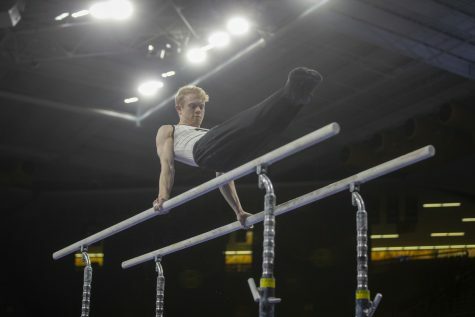 The GymHawks took on its first Big Ten opponent, Minnesota, in Carver-Hawkeye on Jan. 19 but fell short, 195.475-194.350. 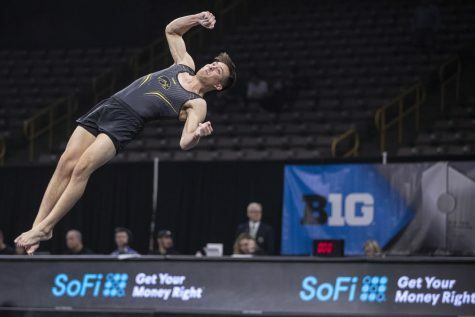 The ninth-ranked Iowa men’s gymnastics team traveled to Chicago to compete in the Windy City Invitational, where it finished fourth with 394.700 points. Though the Iowa women did not come out on top, the meet was successful in the eyes of head coach Larissa Libby. 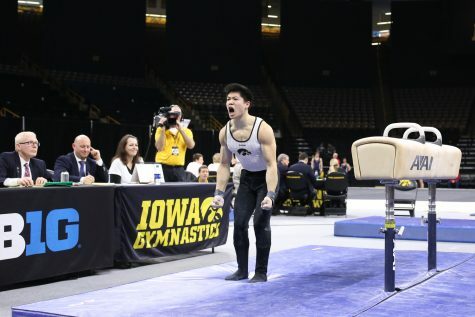 The GymHawks had the majority of its freshmen start in the lineup and compete against a Big Ten team for the first time. For Libby, the team and the freshmen did everything that was asked of them. 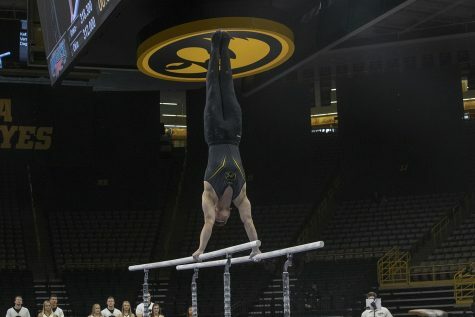 As a team, the GymHawks scored a season-high and scored the highest rotation of the meet on bars with a 48.950. 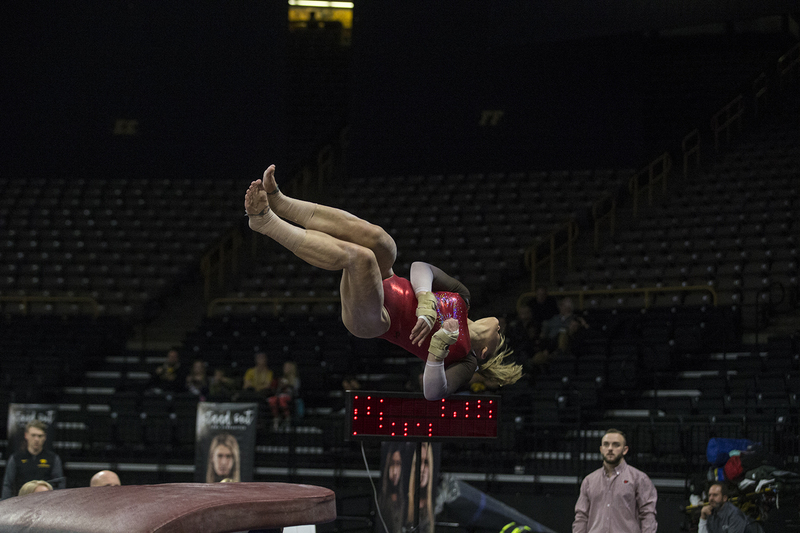 Four GymHawks also tied season-bests: sophomores Emma Hartzler (9.775) and Maddie Kampschroeder (9.800), senior Nicole Chow (9.825), and junior Charlotte Sullivan (9.825). Freshman Jax Kranitz ended the bars with a career best (9.725). Now that the team has gotten its feet wet in conference competition, the focus will be on the little things to help the team be more successful. The GymHawks will prepare to take on Rutgers on Jan. 26 in Carver-Hawkeye, and their minds are is focused on their goals. Six teams competed at the Windy City Invitational on the men’s side: Iowa, Illinois, Michigan, Minnesota, Washington, and Illinois-Chicago. 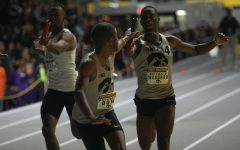 First, second, and third place were earned by Iowa’s Big Ten competition. No. 3 Illinois took home the team title with a 403.105, No. 7 Michigan came in at a close second with 402.000, and No. 5 Minnesota took third with a 399.800. Sophomore Bennet Huang placed sixth in the all-around (79.050). 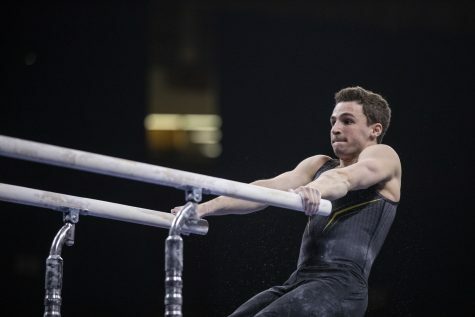 He took seventh on the pommel horse and floor routine. 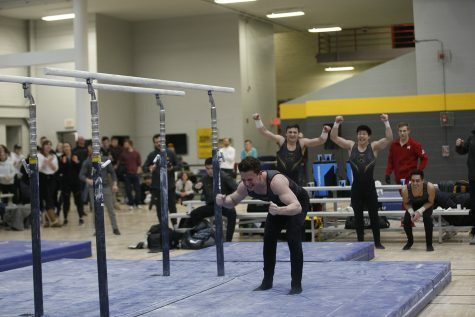 Junior Brandon Wong posted a career high on rings, and junior Andrew Herrador set one on the pommel horse. 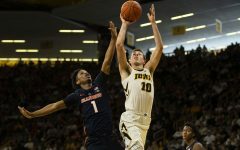 The Hawkeyes will now prepare to take on Illinois Jan. 26 in Champaign.